The MIU Faculty of Pharmacy prides itself on having successfully held the 9th Continuing Education workshop on Thursday November 26 on the topic of Pharmaceutical Care in Critical Illness. 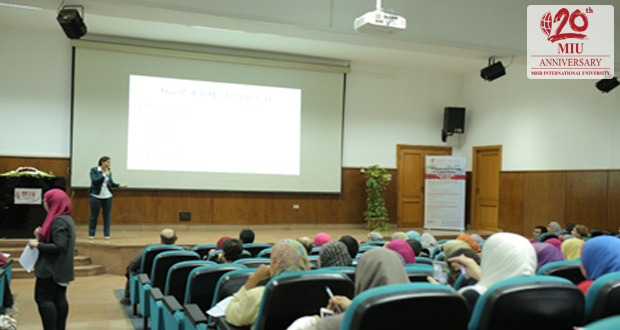 The workshop included three important sessions for the development of pharmacy practice in Egypt. The first session was held by Dr Taher Hegab, Assistant Professor of Clinical Sciences at California Health Sciences University, who presented on Pharmaceutical Care in Critically Ill Patients. 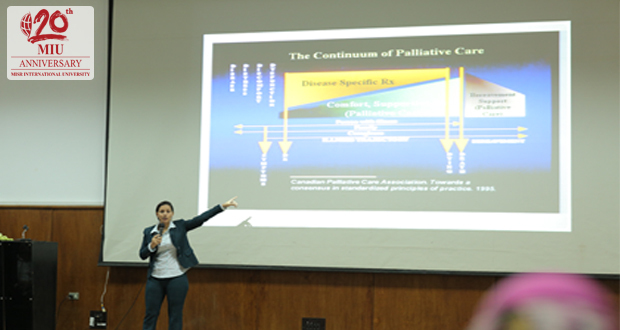 The second session was held by Dr. Ebtesam Ahmad, Clinical Associate Professor at St. John’s University College of Pharmacy and Health Sciences, with the title Palliative Care in Critical Illness. Dr Ahmad Abdelhady, Assistant Professor in Clinical Pharmacy at MIU, presented the third session on Pharmacokinetic Changes in Critical Illness. 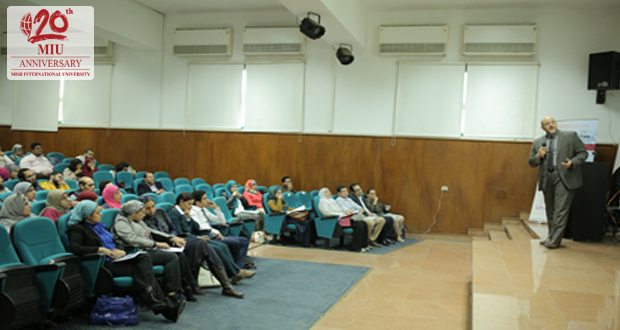 The workshop attendees were 100 hospital and clinical pharmacists from diverse health institutions in Egypt, including Elgalaa, Air Defense, Ain Shams and Kasr El Aini Hospitals and Dar ElShefaa. Attendees also included academic colleagues from governmental faculties of pharmacy in Cairo, Ain Shams and Tanta Universities. The Continuous Education workshop was held as part of the ongoing ACPE accredited series of the Continuing Professional Pharmacy Development Program at MIU, Faculty of Pharmacy.